like to wish you a very Merry Christmas and a wonderful 2013! Thanks Guys! Have a great Christmas and New year too! I love those old carnival rides, wasn't there something passed that they are not allowed to be build them in parks or even places like seaside can't? The canvas roof covering the station looks very low. I don't think I could stand up in there. 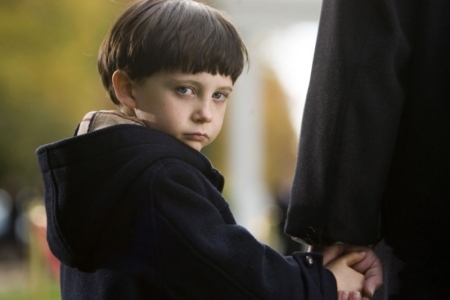 Did anyone ever see The Omen? Just sayin'! My heart goes out to the employees who had to load/unload that coaster. Their backs must be horrible. wheel is on the right side of the European truck. Yeah I wonder if this truck is still around? of the Garden of Marvels including the Koi Pond and inclined rampway survived the coaster being built. the spacecraft was destroyed on lift-off and the name was removed before the start of G.A. 's season that year. How many people remember the 1st year it was out? It was atleast an hour wait and it seemed that almost every cycle someone was throwing a dollar bill or 2 out of the ship and into the line where people were waiting. The chaos over a dollar bill!!! ^I don't remember dollars being thrown but I do recall everyone's change falling out of their pockets when the ship hung upside down. I worked the ride several times in 1985 while doing a double shift and I recall the ride's pit had a lot of money in it at the end of the day from "contributions" from the riders. Great photo! I miss this ride so much. although Viper proved to be a much rougher riding experience given its tight track layout. Although I never rode it, my mom sure is happy its gone. I always thought Viper was a unique coaster. Even though it hurt, those heart line inversions were really awesome. Oh viper......How i remember coming off of you all red and in pain. I never rode Viper but would have liked to have tried the coaster at least once to see how painful it really was. It really wasn't horrible for the first year or two. I think it (and GASM) suffered more from having B&Ms to compare them to than anything. Not sure if I should be pleased or bummed out that I missed out on this ride. times daily at the Great Lake Grandstand from May 1996 to September 2001.